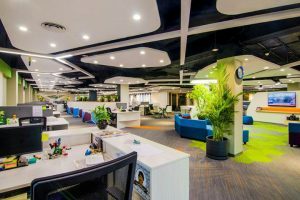 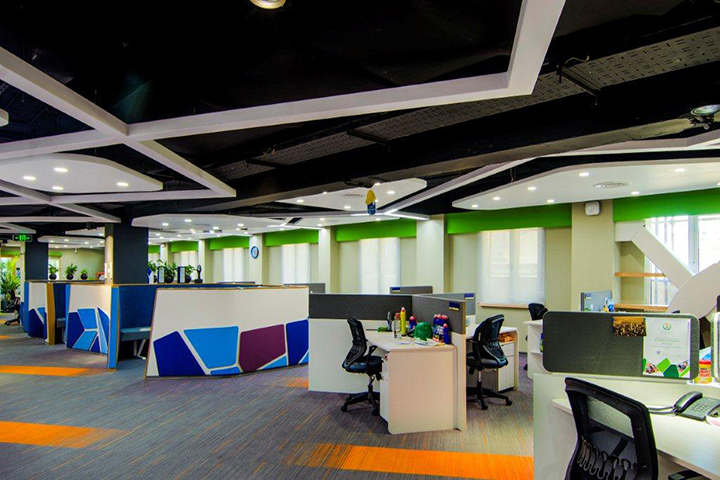 A segment of Unilever offices at Avari have been redesigned by us in order to bring it in line with the recent Unilever global rebranding that has taken place. 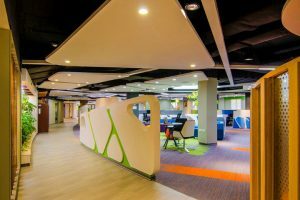 We took on the challenge of creating a brand new visual identity . 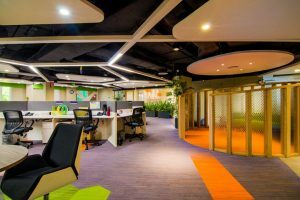 Influenced by the global guidelines, we chose to work with “Pattern “ , an amorphic shape deduced from the wings of a butterfly. 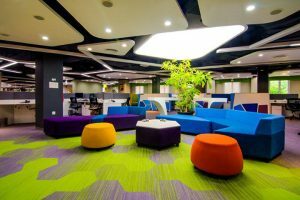 Various forms deduced from this shape are used to separate spaces, create ceiling panels, table tops , flooring patterns and wall panelling. We proceeded to design friendly, fluid workspaces with an emphasis on soft curves. Generous break out spaces, dedicated to specific departments were planned , where employees convene on a daily basis. 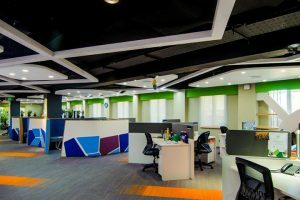 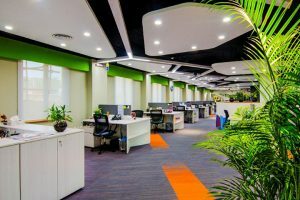 Playful colors and agile work spaces bring a certain synergy to the space , conducive to its young and vibrant work force.